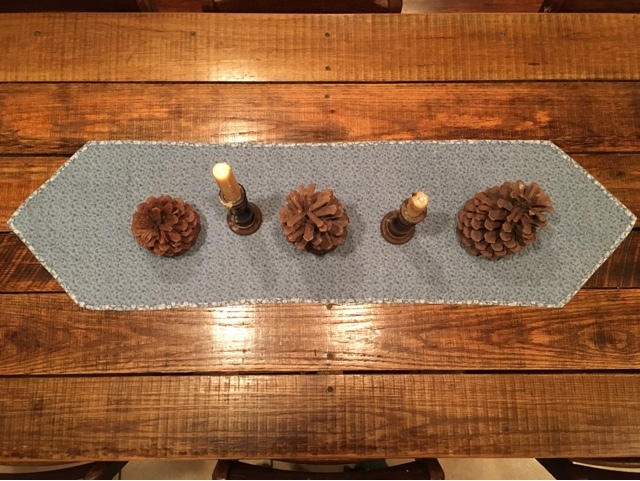 Taking away some things, but still wanting to have some things that welcome winter around our home. 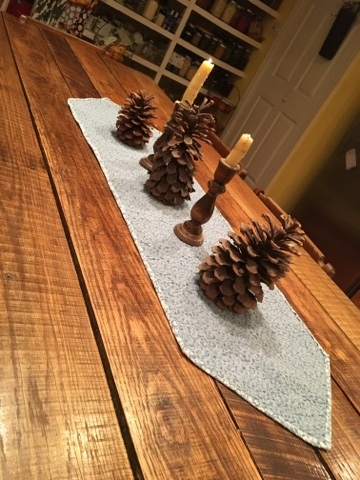 Homemade beeswax candles, long ago thrifted candlesticks, some huge pinecones a blog reader sent me years back, and a table runner made by a friend turned on the opposite side to show some shades of light blue. 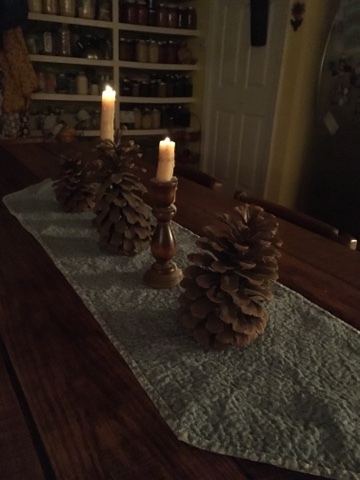 Simple additions to help keep a festive wintry table setting for my home. 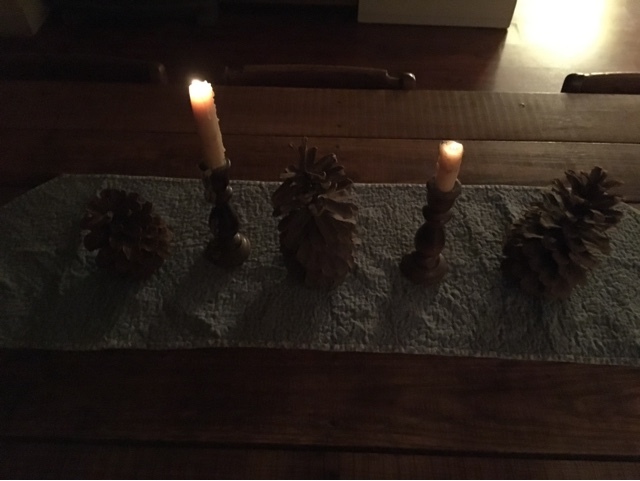 The little things are important too, friends.